Ho Chi Minh City (Saigon) to get new airport? The 2012 Transport Times conference “A New Strategy for UK Aviation” could not be better timed (18 April) coming shortly after the Government’s consultative document is published. 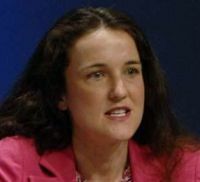 Keynote speaker is Theresa Villiers, Minister of State for Transport. The emphasis will be on hub connectively, now a separate part of the review. The one day programme features some of the most important and influential people involved in the British air transport scene including Maria Eagle MP, Shadow Transport Minister; Bridget Rosewell, Chair, Volterra Consulting; Katja Hall, Chief Policy Director, CBI; Baroness Jo Valentine, Chief Executive, London First; Chris Gadsden, Head of Regulatory Affairs, easyJet; Mark Tanzer, Chief Executive, ABTA; John Morris, Head of Government and Industry Affairs, Birmingham Airport and Keith Brown MSP, Scottish Transport Minister, who is expected to talk about Heathrow connectivity with regard to Scotland. Colin Matthews, Chief Executive of BAA, is the final speaker. Innovata, the Atlanta, Georgia, based rival to Britain’s OAG has published a statistics report which shows the size of the worldwide airline industry and its vibrant state. At the end of February 2012 Innovata offered 834 airlines on its database of which 767 operated under their own designator. In the first two months of the year 11 airlines were added or re-installed including five start-ups and Innovata recorded 13 IATA code or airline name changes. During the same period 10 airlines either ceased operations, suspended services or merged. Innovata says it designates 108 airlines as low-cost carriers and 114 who are considered as dedicated cargo and truck operators. Currently almost one in 10 flights are pure cargo. The flight data company say that 251 airlines offer wide body flights and that one in eight carriers file route and schedule changes daily. Finnair has become the first airline in the world to introduce a bright light headset into the cabin. According to Finnair a bright light headset is a device that brings wellbeing by channelling bright light into the brain via the ear canal. It stimulates passengers and helps them adapt better to jet lag and the fluctuation of the circadian rhythm. Valkee bright light headset is a product of an innovative Finnish design company called Valkee. The device increases the amount of light received by the brain to a natural level when there is not enough light. It provides a safe and natural way to charge oneself, and it is easy to carry due to its small size. Sustainable Aviation, an alliance of leading UK aviation groups, has published a report explaining how the aviation industry and governments can achieve the international goal of halving net CO2 emissions by 2050 compared to 2005 levels. The report comes against a background of rising aviation demand, and the forthcoming publication of the UK Government’s Sustainable Aviation Review. Passenger numbers are expected to more than double by 2050 and air freight activity, vital to the UK’s trade with emerging markets, is likely to increase more than seven-fold. The report calls upon the aviation industry and Government to take steps to ensure the emissions goals are met while satisfying rising demand for air travel including the provision of research and development support for new generation aircraft and engine technology. Improved air traffic management is also highlighted as is the need to incentivise the production of sustainable fuels. Governments should prioritise reaching an agreement on a global carbon emissions deal and make it happen. The crisis at Indian carrier Kingfisher Airlines has deepened with the airline culling its entire international network as it attempts to overcome its current financial problems. The airline, which was on the verge of joining the oneworld global airline alliance earlier this year, has faced major operational problems over the past week as many of its pilots have again failed to turn up for work after allegedly failing to be paid. The problems were further compounded by the impounding of one of the airline’s Airbus A330-200s at Heathrow, at the start of the week. Kingfisher says its international operations are “bleeding heavily” and it has already started to retire some of its Airbus A330-200s from passenger service. “Positive and immediate action is being taken on all fronts to cut costs,” it said in a statement. Prior to the introduction of revitalised trains in April Heathrow Express has unveiled the result of a £16m investment well in advance of the London Olympics where it will play a vital role in transporting competitors, the Olympic family, and visitors to and from central London. 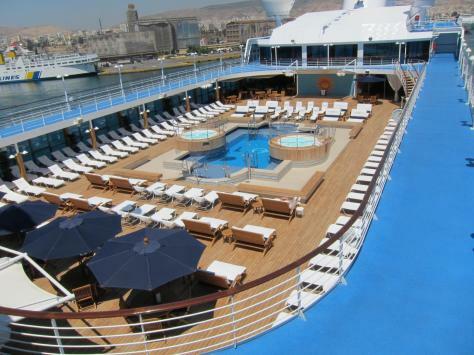 Now in its 15th year it has carried 60m passengers since its launch. Stepping into a 'New Era' which will see a new brand, corporate colours, staff uniforms and a refurbished higher specification rolling stock. The project, which has taken three years from commission to roll out, was borne from extensive customer focus group and staff research. With partners including Siemens, Designhouse, Interfleet, Axminster and No Uniform the project has been steered by the senior management team at Heathrow Express, the final stages overseen by Managing Director Keith Greenfield who joined from BAA in November 2011. 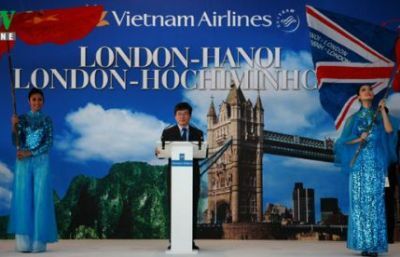 On 9 December 2011 Vietnam was linked for the first time by air to the UK. Vietnam Airways, the National carrier, now flies from Gatwick on two days per week to both Ho Chi Min City (Saigon SGN) and Hanoi (HAN). “If we are successful in expanding the network and strengthening our position, we’ll be number two after Singapore Airlines,” Chief Executive Officer Pham Ngoc Minh told a small international media group in Hanoi last week. On order are Airbus A321s and A350s, plus Boeing 787s. With an 11% passenger increase last year the state-owned carrier is outpacing Malaysian Air (5%) and Thai International whose numbers dropped by 0.7%. With around 14m travellers (official figures not published yet) it has overtaken Malaysian (13m) and is closing in on both Singapore (16.9m) and Thai (18.4m) although in the airline business numbers by themselves mean little. Last week’s Aviation Club lunch in London (15 March 2012) was intriguing in that the published speaker, airberlin CEO Hartmut Mehdorn, pulled out at the last minute replaced by Chief Commercial Officer Paul Gregorowitsch who focused his address on the airline’s new survival strategy, known as ‘Shape & Size.’ The next day airberlin announced a net loss of €271.8m for 2011, a worsening by €174.6m from the previous 12 months. Revenue increased by 13.7% to €4.23bn and passenger numbers by 1.2% to 35.3m. “2011 was a very difficult year for the industry and 2012 is unlikely to be much better,” he stated. For airberlin to survive, said Gregorowitsch, the airline needed to go for “effective global reach.” This was being achieved by business and investment partnership with Etihad Airways and entry in the oneworld alliance as from 20 March. At the same time, the new Berlin Brandenburg airport, due to open in June, would become “a pre-eminent central European hub” providing competitive strength for airberlin and its partners. 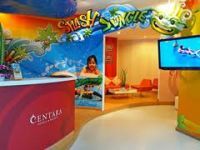 Phuket International Airport has a new arrivals hospitality centre operated exclusively by Centara Hotels & Resorts who have seven properties on the Thai island. Located in the arrivals hall at the airport it presents a warm welcome to visitors offering coffee, tea, cold drinks and snacks plus a full time representative providing support and information for travellers and in many cases their handlers too. Transfers can be organised, or a hire car. Fully comprehensive insurance is a must. It may be a foretaste of the future but British Airways has gone wide-bodied from 26 March on its Heathrow – Moscow Domodedovo route. It currently competes with bmi whose capacity is likely to disappear if the planned takeover goes ahead. One BA service daily will be by a Boeing 747-400 in a four-class layout, whilst the other two will be by long haul Boeing 767 aircraft, without First Class. To promote the upgrade BA CEO Keith Williams flew to Moscow last week attending a series of events. At around 4hrs 20mins it is British Airways shortest long haul route. From Domodedovo, Russian airline Transaero competes whilst Aeroflot also flies to London but from Sheremetyevo, the alternative Moscow airport. The Moscow upgrade is the only major BA route change for the coming summer. There are no significant changes at Heathrow (no new routes or suspensions) but Algiers flights will move from there to Gatwick. At Gatwick the airline is launching flights to Nice, bringing the aforementioned Algiers flight from Heathrow, and withdrawing the Cagliari service. 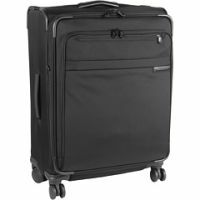 Although many of us wonder how we would transport our belongings without it, wheeled luggage has only been available for around 40 years. Back in the early 1970s it seems the general opinion surrounding travel bags on wheels was that the idea was impractical and would never take off. Four-wheeled cabin bags were around from the beginning, so we are told, but it was the type with just two little rollers that really took off. Now Briggs & Riley, the US company known for its "Simple as that" lifetime guarantee that even covers damage caused by an airline, has introduced a range of four-wheelers that it calls “The Baseline Collection” available in three sizes, 20, 24 and 27 inches high. The design includes a large gusseted front pocket that opens wide to store travel items, such as a jacket, magazine, newspaper; the carry-on features a pocket that holds up to a 16" laptop. DoubleTree by Hilton has announced a fifth London property to join one of the UK’s fastest-growing, upscale, full-service hotel brands. The DoubleTree by Hilton London-Victoria is conveniently located opposite Victoria Station with non-stop access to Gatwick Airport. Located on Bridge Place it adjoins the Passport Office and is within walking distance (one mile) of the recently introduced DoubleTree Westminster. 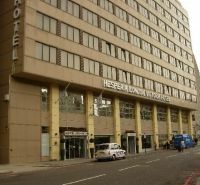 Formerly known as the Hesperia London Victoria, the 225-room hotel is undergoing a multi-phase refurbishment programme. As with all DoubleTree by Hilton properties it is operated under a franchise license agreement. Work is progressing fast now on the temporary Olympic departures terminal for athletes only at Heathrow. 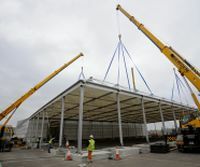 It is located on the south side of the airport between Terminal 4 and British Airways World Cargo with the entrance on Sealand Road. The plan is to divert over 10,000 passengers, 37,000 bags and a significant number of coach movements from the main terminals with it reaching its peak on Monday 13 August, the day after the closing ceremony of the main Olympics. Olympians inbound will go through normal border controls but for departures they will be able to check-in at the accommodation village and then take a coach. 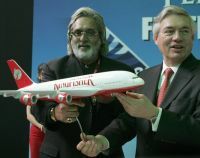 With Kingfisher Airlines confirming that it has pulled its Mumbai – Heathrow service and bmi long since departed Virgin Atlantic has announced that it is resurrecting its version of the route, which it abandoned in 2009. Since then passenger numbers have grown on the sector by 9% to more than one million, making it Heathrow’s 12th busiest long haul route. 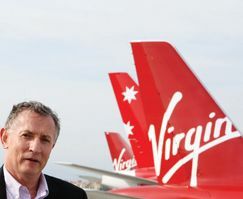 The service is being launched on the back of the success of the Virgin New Delhi to London and New York route which enjoyed 20% growth in passenger numbers in 2011. It celebrates its 12th birthday this summer and in particular attracts travellers connecting at Heathrow to the airline’s ten North American destinations. 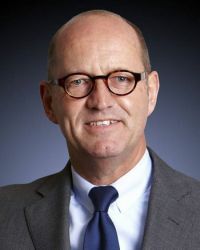 Steve Ridgway, Chief Executive, Virgin Atlantic Airways said: “Virgin Atlantic is proud to be flying to Mumbai again, linking this wonderful city to our key destinations of London, New York, Boston, Washington and Chicago. India’s phenomenal growth continues to drive travel to the UK and the USA and we know our passengers are going to love the connections the new flight offers. Following the AND FINALLY regarding Concorde, Vernon Murphy, now retired but at one time the senior man at various BAA enterprises, tells us that when he was at Gatwick they were still getting complaints about the Heathrow Airlink 18 months after the helicopter service was terminated. The noise will not go away. TAM Airlines, the Brazilian carrier soon to be integrated with LAN Chile, has chosen to absorb the increase in Air Passenger Duty (APD), which takes effect on 1 April, for all its passengers that had booked and paid in advance for their tickets prior to the British Government’s Autumn Statement of 29 November 2011. The Government is insisting on no retrospective discount. From Heathrow, TAM Airlines flies direct to both São Paulo and Rio de Janeiro, which currently fall into band C for APD, while many onward services to Argentina, Paraguay, Chile, etc, come into the highest band, D. APD is applied to all flights outbound from the UK. There is no equivalent tax levied by the Brazilian authorities. The proposed sale by Lufthansa (LH) of its bmi subsidiary to British Airways could or could not happen with a decision possible by 30 March. It was due 16 March. The delay has allowed BA to review its situation and offer guarantees. Brussels could decide on an in depth review, bad news for everyone. Life goes on with bmibaby the fully-owned subsidiary, which has celebrated 10 years of operation. 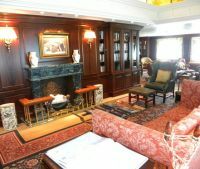 A deal was announced in February with an unknown buyer, completion said to take place within the first quarter of 2012. Should no sale happen British Airways would seek a price reduction. Last week’s COMMENT column was given over to the possible sale and the role in the matter by the UK’s Office of Fair Trading (OFT). The decision is now with the European Commission. What is now clear is that the powers of the OFT are in fact limited in respect of airline mergers with the precedent set years back, the original share deal between bmi and LH in 1999 decided in Brussels. Likewise Lufthansa’s 100% acquisition of the British airline in the 2009. According to the UK Civil Aviation Authority in the fourth quarter of 2011, 80% of scheduled flights were on-time, up from 68% in the fourth quarter of 2010. Average delay also fell from 21 minutes to just 11. A significant punctuality improvement was seen at all monitored airports. These results, together with other punctuality improvements in previous quarters, mean that over the whole of 2011, 80% of scheduled flights were on-time, up from 73% in 2010. On-time performance (defined as early to 15 minutes late) at London airports increased by 13 percentage points to 80% and the average delay fell by 10 minutes to 11 minutes, between the final quarter of 2010 and the final quarter of 2011. The biggest increase in on-time performance was seen at Stansted, by 16 percentage points to 85%. Gatwick and Luton had the biggest reductions in average delay (12 minutes). Heathrow’s improved by 12 percentage points and its average delay fell by nine minutes. London City’s on-time performance rose by seven percentage points and its average delay fell by six minutes. 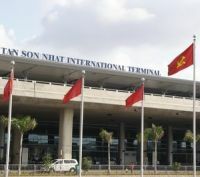 The vital importance of a country’s international airport hub and its future role has been sharply focused in Vietnam. The country’s thee main airports (Ho Chi Minh City, Hanoi and Da Nang ) are now being brought under one operating company. Prime Minister Nguyễn Tấn Dũng has attached his name to a plan to start construction of the new Long Thanh International Airport in 2015. Sited 30 miles north east of Ho Chi Minh City the facility could be operational by 2018 and is planned to eventually have four runways with a capacity of 25m, twice the number handled by SGN last year. Following Luton Council’s ideas on the development of what is London’s fourth busiest airport (AERBT 13 February), the Spanish-owned operating company LLAOL (London Luton Airport Operations Ltd) has come up with its own ideas for the way ahead. The Council plan closes for comment 26 March and sees capacity at 18m. The LLAOL scheme, which is more detailed, closes 25 April. It says that 16m is the target. LLAOL’s ideas include duelling the road from the Holiday Inn to the central terminal area, and bringing unused parts of the terminal building back into use. The front of the terminal building would be extended to create a new entrance foyer with more passenger seating and retail areas on the upper level. The internal layout would be re-organised to create a more logical route from check in, through the lounge and to the gates. Arriving passengers will have an easier route too. Airside improvements include a new southern ‘pier’ and an increase on the number of stands. Both agree that some form of extended taxiway is needed to increase runway movements. 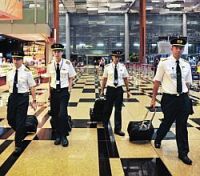 Singapore Airlines (SIA) has circulated to its junior pilots a suggestion that they can take unpaid leave for up to two years and look for work with other carriers. This affects more than 1,000 cadets and first officers. No Captains are included. What the move does show is that even the world's best run airlines, and SIA is one of the best, are being affected by the global economic slowdown. Jobs in fact should not be a problem with Scoot, a new SIA budget offspring starting up later in the year, and Chinese airlines participating in recent US recruitment seminars organised by Miami-based Pan Am International Flight Academy. "Between now and 2030 the Asia-Pacific area will need 180,000 pilots. China alone will need 70,000," said event co-ordinator Steve Turner of WASINC who organised the event on behalf the flight academy. "It's a real enticement to US pilots currently sitting at the bottom of the career ladder here to look overseas, where the pay is so much better." Two days per week to both Ho Chi Min City (Saigon SGN) and Hanoi (HAN). AERBT would recommend the carrier, but it is in the ‘could do better’ class, the result probably of the Communist management operation under which it is run. It is price competitive on routes to Melbourne and Sydney which it is marketing heavily. 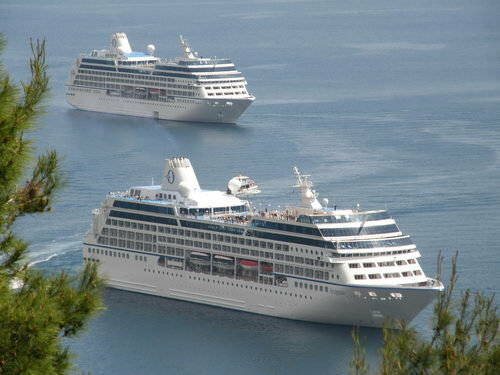 £700.00 for Economy; £1,410.00 for Economy Deluxe; and £2,785.00 for Business class (all prices inclusive of taxes). With a 21-22 hour flight time (depending on which direction you are going) it is as quick as you can get to Oz, and you can stopover for up to 48 hours without a visa. Vietnam is a friendly and fascinating country to visit, spotlessly clean. Whilst its heritage goes back as far as the 1950s, Vietnam Airlines is today a very modern carrier with routes all over South East Asia, to Australia, and in Europe, London joining Frankfurt. Not only does it codeshare with fellow Skyteam members (Paris for instance with Air France) but also with oneworld’s Cathay Pacific and Qantas. It markets itself as the airline for Indo China (Cambodia, Laos and Vietnam) and offers connections to most cities in the region. Vietnam is a one party state and the airline is part of the national transport infrastructure. The company is overseen by a seven-seat management board, members of which are appointed by the Vietnamese Prime Minister. It is a fine airline but is deficient in some areas. Whilst it has the London route to itself it will succeed but if BA or Virgin were to decide that there was sufficient traffic to compete, it would need to sharpen up. At Gatwick, Vietnam Airlines uses the Number One lounge in the North Terminal, perhaps the best on the whole airport. The normal gate, 52, is a short walk, but watch the information boards. It is a silent lounge. 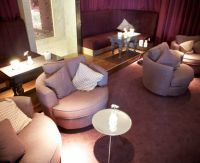 Amenities included in the lounge are a spa, cinema, business centre (courtesy wi-fi) games room and children’s area and there is a complimentary bar (Champagne is charged for). Also to hand is a pool table. Whilst hot food selection is limited if you want anything more ambitious it can be purchased. However with the Vietnam departure at noon, and a welcoming meal on board, anything more is not needed. One advantage is that the lounge is on the ground floor. A quick visit to the retail area is easy. If you are in Economy you can pay for the lounge visit, or take out membership. For reasons of their own at Gatwick Vietnam Airlines boarded Economy Class passengers straight after those with special needs. Business Class were last, mighty strange as the aircraft used an amidships door, front end passengers turning left. 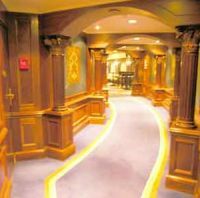 There is a friendly welcome once on board, a wardrobe is provided, and Heidsieck Champagne plus soft drinks offered. A good selection of London, International and Vietnamese newspapers are made available plus The Economist, Time and social magazines. Throughout the 12-hour flight there was always staff around with sandwiches, cakes and fresh fruit available. Vietnam uses Boeing 777-300ERs on the London route with Business Class, De Luxe Economy Class, and Economy and seating 2+3+2 and 3+3+3. The aircraft has a certain vintage feeling to it, offering first generation semi-flat seats in Business Class that are very comfortable but lack storage area. The deficiencies of the dated cabin system are apparent. The 10 inch video screen goes into the arm rest and the folding table is a weakness. Likewise it is a start and go video system. There is nowhere to store items. Modern module seats are far better and they do not have to be fully flat. The meals, outbound, are clearly aimed at a western clientele. Lunch on the outbound flight starts with hors d'oeuvres, followed by soup, a choice of three entrée courses, cheese, ice cream cakes and fresh fruit to finish. Coffee and liqueurs. You can order in advance vegetarian, kosher and other specialised meals. Breakfast is needed after a long flight and includes an omelette, chicken sausage and mushrooms plus a cold plate. No air bridges on landing but a private bus is provided for those in Business Class. Formalities slowed immigration and readers travelling on the route should ensure they have spare passport size prints. At arrival the staff are helpful and will capture your image. For $10. The ‘Orchid’ Business Class lounge is OK but that is all. With no competition on the route Vietnam Airlines can get away with it but it seems very dated although, just like the terminal itself only just over 4 years old. There is a selection of uninspiring hot and cold food, and annoyingly, since it sits on an open mezzanine floor below the main terminal complex, open to announcements for both outgoing and incoming aircraft. Indeed the whole terminal is lacklustre. A top class international airport architect needs to be brought in. Where the airline has to reconsider is the Business Class return on-board service. Take off is around midnight local time with arrival 06:00. What is on offer is the ‘quick meal’ that some carriers serve as a late night option. The choice is European or Asian. The airlines out of Hong Kong offer a full menu selection. With a 13-hour sector ahead this is needed. The outbound leg shows that it can be done. Likewise the breakfast is a cold tray. There should be no problems with galley space as such a meal is provided inbound to SGN. No London papers on the return trip, which can be easily organised and would be a nice touch. Transfer to the aircraft is by bus again with many airbridge gates available. Business Class passengers get their own mini-coach. At the other end they are first off, and here Gatwick scores heavily over Heathrow with its many early long haul arrivals. 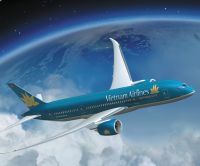 Vietnam Airlines is just about the first airline to arrive. Passport control is a doddle. If you are in the short term parking you can be away within 45 minutes of actually landing.